Serge Ibaka is one of the best defenders in the NBA. 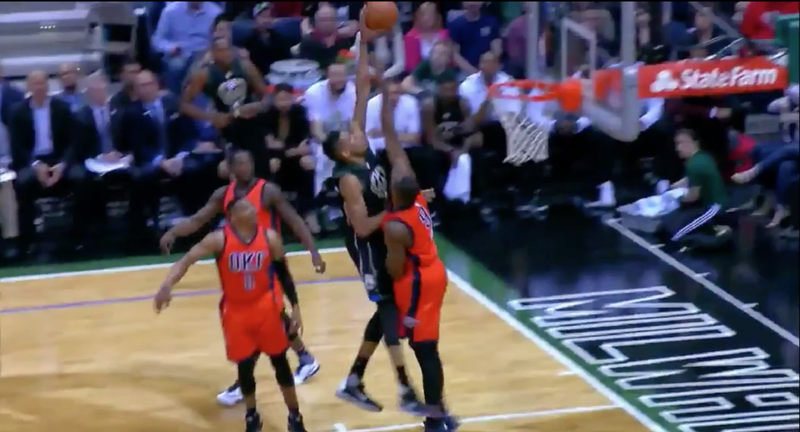 Giannis Antetokounmpo is one of the springiest combo forward types in the NBA. Today, they went at each other and only one survived. Milwaukee only scored 12 in the whole quarter, but these two were real spectacular. Shout out to Ibaka for going up to get this. It’s better than stepping out the way and saving some ego.